WELLINGTON, FL – January 18, 2013 – A record twenty-five teams have been announced for the Monday, January 21st Joanna Monaco Memorial Tournament at Grand Champions Polo Club. 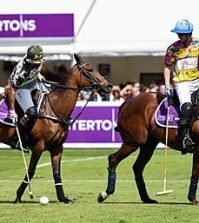 The next generation of sons and daughters of men and women polo players including Adolfo Cambiaso, the greatest player in the world, will compete in the day-long event at various levels and ability. Adolfito and Mia Cambiaso will compete for Audi. The event is co-hosted by player-sponsors Melissa and Marc Ganzi, whose children Grant and Riley will also compete. Grand Champions has hosted several junior tournaments in the past. This is the first time the seven-year-old club has hosted the Joanna Monaco Memorial Tournament. Last year’s event, hosted by Gulfstream Polo Club, attracted a record 68 participants on 17 teams. This year’s event has already broken that record with nearly 100 youth polo players signed up, according to Florida Junior Polo’s Jennifer McLeavy. The tournament is named in honor of Joanna Monaco, a tireless, behind-the-scenes mentor of people in the working world of polo. 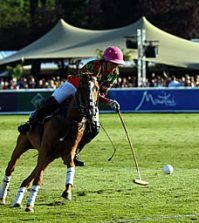 Monaco traveled the polo circuit with her husband, Tom, a professional player and club manager. In her era, there were many English ladies who came to the United States as grooms to whom she became a surrogate mother. Her generosity led to a program she developed to help find jobs for people in the polo world, particularly grooms. Monaco’s door was always open and anyone down on their luck or in need of a hot meal, she would always provide for them. Monaco succumbed to cancer but her legacy lives on through the tournament. The Polo Training Foundation’s Florida Junior Polo tournament will begin 9 a.m. and last until 3 p.m. and will be immediately followed by trophy presentations. The advanced players will compete first followed by intermediate and lower levels. There will also be a leadline for young children to end the day. The opening eight-team division will compete on fields one and two in four two-chukker games beginning at 9 a.m. Two winners will advance to play a mini-final later in the day. The eight teams are: Grand Champions (Agustin Arellano, Lucas Arellano, Grant Ganzi, Ignacio Viana); Red Barn (Santiago Avendano, Harrison Azzaro, Mariano Gonzalez, Matias Gonzalez); Lechuza Caracas (Joaquin Avendano, Rodrigo Barco, Jack McLean, Manuel Villamil); The Polo School (Anthony Devrient, Santino Magrini, Victorino Ruiz, Christian Weisz); Casablanca (Benjamin Avendano, Matt Cohen, Benjamin Daniels, Baltazar Magrini); La Martina (Agustin Bottaro, Wesley Bryan, Cipriano Echezarreta, JT Shiverick); Tackeria (Justin Daniels, Connell Erb, Nicolas Escobar, Liam Lott); and Tato’s Mallets (Jon Luke Beck, Santos Bollini, Carlos Martinez, Segundo Merlos). Four teams will compete in their four-team bracket at 1 p.m. Those teams are Blanco (TX) (Brinkley Erb, Lucas Escobar, Izzy Lawn, Katie Mitchum); Polographics (Hope Arellano, Rachel Kelly, Gunther Read, Boone Stribling Jr.); Orchard Hill (Blake Ashcroft, Lucas Criado Jr., Donovan Stratemann, Chase Schwartz); Tackeria (Mia Astrada, Allie Azzaro, Jessica Reimann, Mackenzie Weisz). Three teams will compete in their bracket at 2 p.m. They are Eagles (Jillian Beck, Evan Dees, Anna Shelby Dees, Olivia Merlos); County Line Feed (Bryce Gardiner, Carl Gittens Jr., Brandon Prichard, Joseph Schwartz); and Casablanca (Maria Celis, Milo Doreignac, Juana Criado). Another three teams will compete in their bracket, also at 2 p.m. They are Alex Photo (Jacobo Bacariza, Anneke Beck, Grant Braden, Alyssa Tranchilla); Grand Champions (Landen Daniels, Riley Ganzi, Christos Magrini, Malicia Von Faulkenhausen); and Audi (Adolfito Cambiaso, Mia Cambiaso, Jaqui Casey, Cinderella Von Faulkenhausen). 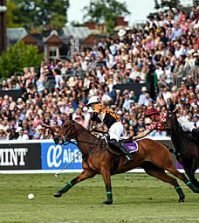 Other teams competing at 2:30 p.m. in two 10-minute chukkers are Piaget (Javier Celis, William Jacobs, William Prichard); Equine Law Group (Buhl Fenner, Gigi Fenner, Olivia Johnson); Tackeria (Hunter Azzaro, Bailey Biddle, Finn Secunda) and Pololine (Julio Ezcurra Jr., Santos Merlos, Benjamin Quiroga). Winding up the day’s activities will be the leadline by three teams: Grand Champions (Lorenzo Ramirez, Lucianna Ramirez, Avalon Nottingham); The Morning Line (Miguelito Astrada, Tona Astrada, Brandon Cochrane) and American Polo Horse Association (Elsa Braden, Able Templin, Solon Templin). The Florida Junior Polo Program currently allows participation up through the age of 15. A new aspect of the program has added the Young Players Program for players ages 16-21, an age group that has been overlooked in the past. During the 2013 season, the PTF Young Players Program will have one tournament game a month. Spectators are being asked to enter from the Southfields Entrance off South Shore Boulevard. The Lake Worth Road gate entrance is being used for horse trailers only. 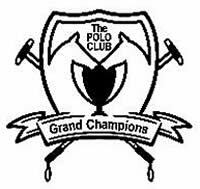 Where: Grand Champions Polo Club, on the corner of South Shore Boulevard and Lake Worth Road. Enter from Southfields Entrance off South Shore. Information: Call 561-753-3389. Free admission. Spectators are asked to enter Grand Champions at the Southfields Road entrance off South Shore Boulevard since the Lake Worth Road gate entrance is being used for horse trailers only. There are great field side views for tournament action. Please provide your own chairs. Dogs must be on leashes. Everyone is welcome to watch polo’s future players.